The pilot’s only open to Chicago residents, though. Lyft is seeking out Chicago residents to give up their cars for a month, and in return, will pay them $550 in credits for other forms of transportation, reports The Verge, including Lyft rides, bike-sharing, and public transportation. Both Lyft and Uber are jockeying to position themselves as the formidable ride-hailing service for everything, with each gobbling up bike-sharing services in recent weeks and launching efforts to encourage people to consider anything but a car. To be sure, Lyft isn’t handing over $550 checks to people and then sending them on their way. The money will come with strings attached. Those who accept the challenge to put away their car keys for 30 days will get $300 in Lyft shared ride credit (for use in carpool trips only), $45 for a monthly Divvy bike-share pass, $100 in Zipcar credit, and $105 for “L” train and bus service. Don’t assume you can get away with lying about your car ownership, either, if you happen to not own a ride. The Verge says Lyft will require some sort of proof that you own a vehicle to qualify. Another catch? Lyft’s not going to be doing anything to confirm whether or not participants actually give up their car, according to the news outlet. It’s all on the honor system, with reaction interviews taken before and after the 30-day round. 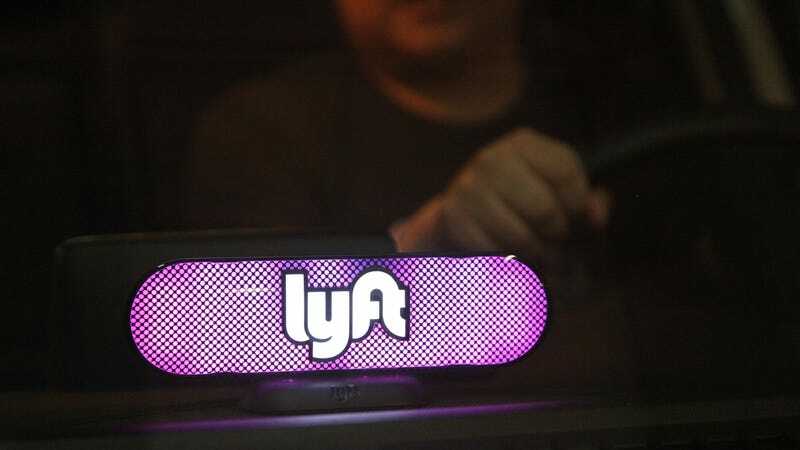 If Lyft feels the pilot was a success, the company may expand it to the city of Portland later this year, The Verge says, and keep it ongoing for an entire year.